Selenium (Se) is an essential element for human health and can also alleviate the toxicity of elements such as mercury (Hg), which is considered deleterious to health. The study area is an important coal mineral region in Brazil, generating 40% of all Brazilian coal. During the coal mining process, Se and Hg are released, which can induce potential human health risks via the food chain. 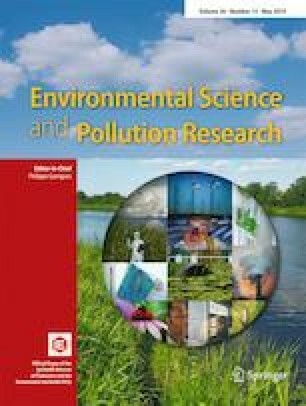 The purpose of the present study is to determine total Se and its species and total Hg in drinking water and food locally produced from a coal mining area, to assess the impact of coal mining. The samples were collected in two cities, with and without coal mining influence. Total Se levels in drinking water and food were assessed by inductively coupled plasma mass spectrometry (ICP-MS) and its species by high-performance liquid-ICP-MS, while total Hg was determined by cold vapor atomic fluorescence spectrometry. Drinking water (1.1 ± 0.2 mg L−1 dry weight) (p = 0.02) and tomatoes (1.5 ± 0.1 mg kg−1 dry weight) (p = 0.01) from the coal mining area had higher total Se concentration than the control area. The highest Se concentrations were found in animal-based food (6.4 ± 0.8 mg kg−1 dry weight) with an important contribution of Se IV (65%). The analyzed sample did not accumulate a significant amount of Hg. Future studies on the estimates of daily intake of these elements and dietary pattern of the population are needed to make appropriate dietary recommendations and support public health action. The authors from the FURG were thankful to the Coordenação de Aperfeiçoamento de Pessoal de Nível Superior (CAPES) - Brasil (Code 001), and the authors from the UCM were also thankful to the Spanish Commission of Science and Technology (CTQ2014-54801-C2-1-R) and the Community of Madrid/FEDER programme (S2013/ABI-3028), AVANSECAL-CM, for funding this study.